Your parents come visit your house. Or the person you're dating gets their first look at your living room and your entertainment center. They see your hot new PlayStation. Sony hopes their next console won't suddenly bring you shame. 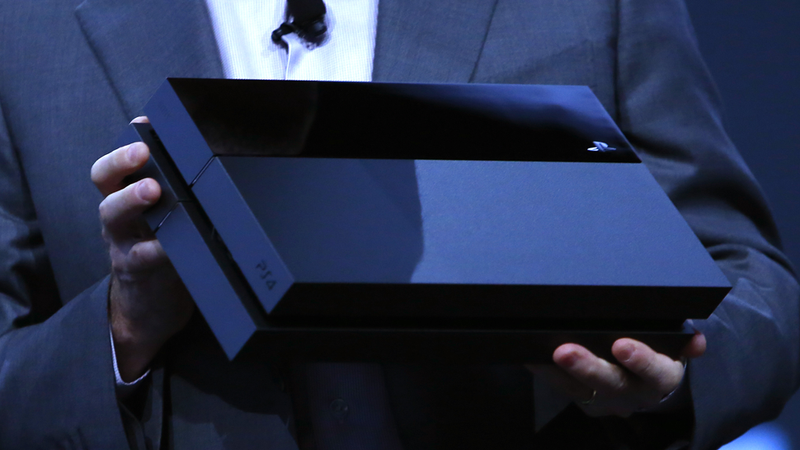 The PS4 "was designed to be an impact product in an entertainment center,” Sony's v.p. of PlayStation hardware marketing John Koller told Kotaku last week, when asked to describe the intent behind the look of the new console. “We wanted the design to be something sleek, something people feel proud about including." Koller was talking to a reporter who opted for the purple GameCube over the black one, so please understand that what someone is proud to have in their entertainment center might vary. To Sony, at least, the research shows that people want something sleek and black. "We think it’s best, actually," Koller said. Not white? Not colors? Black? "The research we’ve done show most people appreciate that," he said. "For those who appreciate colors, we do offer them for other platforms. Nothing to announce here or plans for PS4." Koller believes that the blue light that crosses the side of the PS4 will become the machine's visual signature. It lights up when the machine is on. The console can stand with the help of a stand. Otherwise, it lies flat. As we noted last week, at least one of Sony's top people hadn't even seen the PS4 console until recently. Sony's head of worldwide game development, Shuhei Yoshida, told Kotaku he just saw it a couple of months ago, well after the February 20 public reveal of the PS4 DualShock controller, logo and games. "We were heavily involved in designing the DualShock 4 even at the time that no idea existed, because it’s the interface," Yoshida said. "We were there as a team. But the box, it’s just a box. When I finally saw it, it was near-final and I was amazed by the thinness and lightness of it. It looked already like the second generation of a console. I compared it to the second generation of the PS3. On PS4, first-gen is almost exactly the same dimensions. More than the aesthetics of it, the smallness of it. I am so psyched." PS4... it's got a nice tilt to it, and it's definitely less embarrassing than the Hey You, Pikachu! N64. To contact the author of this post, write to stephentotilo@kotaku.com or find him on Twitter @stephentotilo. Top photo: Eric Thayer, Getty Images.